On social media, refugees have between tweeting "Congrats Mother Merkel" on her victory in the parliamentary elections. But at the same time, they are fearing the impact the right-wing "Alternative for Germany" party will have on federal asylum policy in Germany. Refugees residing in Germany expressed their joy at the win of Chancellor Angela Merkel for winning a fourth term on Sunday. She has been in office since 2005. Many also expressed concern over the "tightening of asylum laws" in Germany due to the populist “Alternative for Germany” party entering the German parliament. 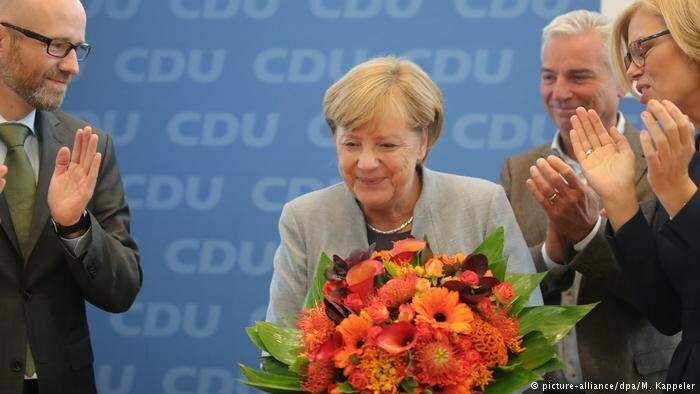 For the Iraqi refugee Shyrzad Jalal, Merkel’s win was a victory for "security". On Facebook, he wrote: "Mama Merkel means love and peace. Merkel means freedom and security." Syrian refugee Imran Darwish also expressed his gratitude to "Mama Merkel" for her helping refugees. He wrote on Facebook "The German people are a noble people. As Syrians, we thank the German government and German people who have aided us. We prefer them to our Arab brothers who blocked our doors and prevented us from entering their countries." He then added "We as refugees thank Mama Merkel and congratulate her on her success and we wish progress and prosperity for the German people." Syrian journalist Suleiman al-Abdullah, who arrived in Germany several years ago, said that the joyful reaction of refugees was premature, saying that her policy towards the refugees had changed considerably. "One should wait and see for during the new legislative term, as the same person can pursue different policies," he told DW. Although Merkel’s Christian Democratic Union (CDU) and its Bavarian sister party Christian Social Union (CSU) led by Merkel won seats in parliament, it was the worst result since 1949 as voters tend to turn out support for smaller parties. 32-year old Syrian refugee Nabil Zainuldeen, who lives in Berlin, says that the reason for Merkel’s declining popularity is the debate around refugees and migration. He added "We fully understand the Germans’ concern, and all we can do to assure them is to tell them that we are law-abiding citizens." Ralph Ghadban, a social expert and political analyst, told DW that the optimism about Merkel’s victory on the side of the refugees is exaggerated and pointed out that the asylum issue is the reason behind the Chancellor’s decline in popularity. "Merkel may change her policy on refugees at the Christian Democratic Union conference in 2018 due to the lack of satisfaction on the issue," he added. The Christian Democratic Union lost support in favor of Germany’s anti-immigration party, the Alternative for Germany, which was able to enter the German parliament as the third biggest party. This was a backlash towards Merkel’s decision to welcome 1.3 million refugees. "The AfD will add more pressure "
In regards to the rise of the AfD in Germany, Ghadban considered the fear that refugees have towards the party to be a natural response because the party will put more pressure on limiting the number of refugees the country will receive annually. This is a policy not accepted by Merkel but insisted on by the Bavarian Christian Social Union sister party. At the same time, Ghadban denied that the rise of the Alternative for Germany party was behind the change in asylum policy. "The open-door policy towards refugees that Merkel adopted in 2015 ended more than a year ago because the majority of Germans were not satisfied with it," he said. "This party adopts xenophobic, racist language and ideas, recalls the Nazi era, and wants to make racist language natural and rewrite history," he said. One of the leaders of the AfD party, Alexander Gauland, said that German soldiers should be proud of the First and Second World Wars," Ghadban said. "The rise of the AfD is a setback for politics and society and a major challenge to the principles and values of democracy in Germany," Abdul Karim Ahroba said in a tweet. During the campaign, the AfD appealed to voters who felt that the influx of mostly Muslim migrants will undermine German culture and stressed that Islamic customs were being pervasive in Germany. 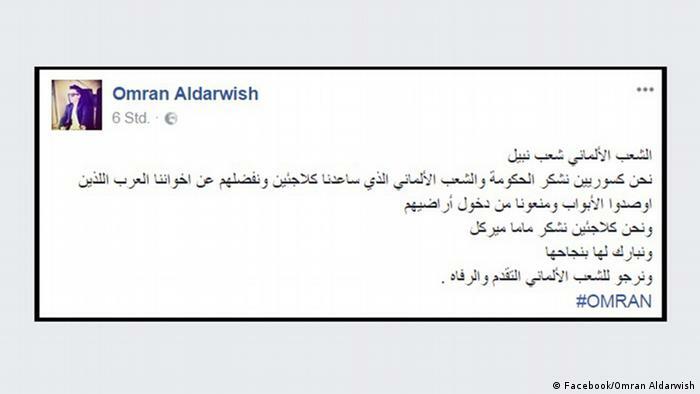 In regards to the influence of the AfD on German society, Dina Abd Al Hassan wrote on Facebook “In regards to the outcome of the German elections, I am not afraid of a law that tells us to pack our bags, but something deeper and uglier." "I fear that my neighbor, my local baker, my teacher at school or an employee at the Foreigner’s Office elected this party. This is the real fear," she said. 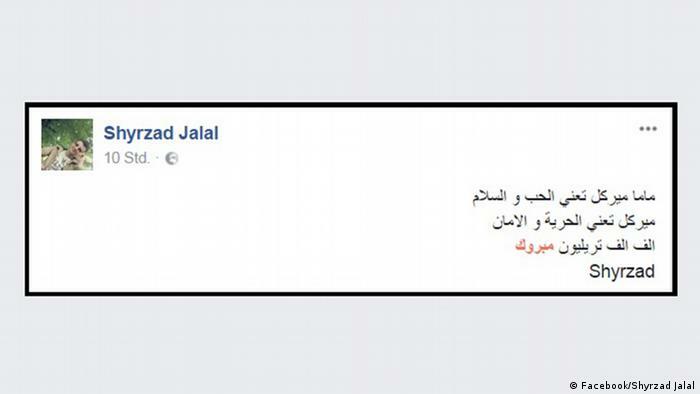 On the other hand, refugee Mohamad Estenbouli believes that despite the rise of the AfD, the German government will be an effective and strong government and calls for tightening asylum laws. “The results are good, it will be a strong, serious and effective government, even with AfD,” he said. The voters of the AfD party will discover that they have only benefited by bringing in racist voices to political and media platforms. They do not have a realistic program that can be applied,” a resident of Cologne said. "If you have a fear of the far right, there is no need to cry and wail. 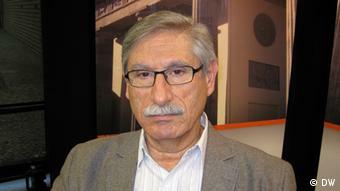 In six years you will be German and have German citizenship," Syrian lawyer Jalal Amin said. "And then you can vote against this party to make your voice heard." He added that refugees make an effort to learn the language and work to achieve this goal. "Our goal is to be part of this country and become influential as voters."